The classic margarita is great, but it's also okay to mix things up! 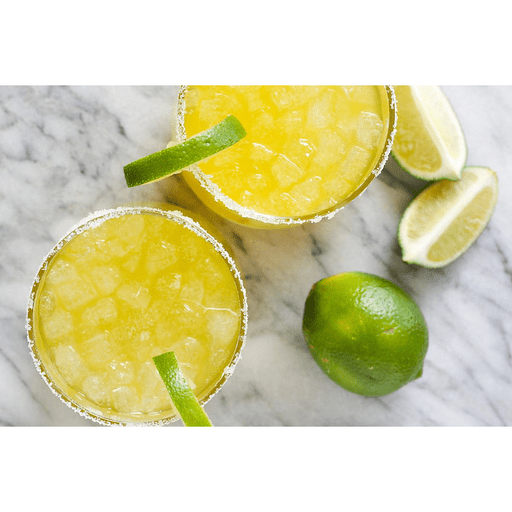 Even kombucha skeptics will love this Mango Kombucha Margarita! 1. Place salt on a plate. Run a lime wedge around the rim of the glass and dip glass into the salt. Turn glass to make sure rim is evenly coated. Add ice cubes to glass and set aside. 1. Pour tequila, kombucha, triple sec and lime juice into a shaker with ice cubes and shake well. 1. Strain into the prepared glasses with ice. Garnish rims with lime wedge and serve. Calories 120, Total Fat 0g (Saturated 0g, Trans 0g), Cholesterol 0mg, Sodium 300mg, Total Carbohydrate 12g (Dietary Fiber 0g, Total Sugars 11g, Includes 0g Added Sugars), Protein 0g, Vitamin D 0%, Calcium 0%, Iron 0%, Potassium 0% *Nutritional values are an approximation. Actual nutritional values may vary due to preparation techniques, variations related to suppliers, regional and seasonal differences, or rounding.